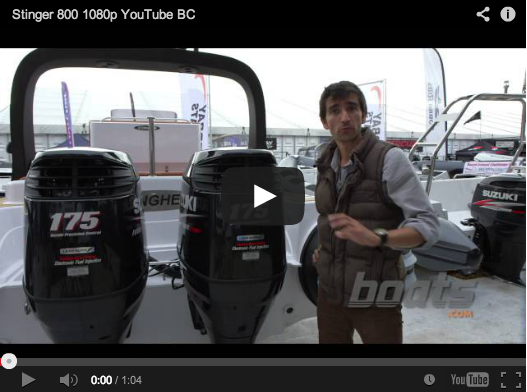 Alex Smith visits the MRL stand at the Southampton Boat Show for a closer look at the new Black Carbon Edition of the Stingher 800 GT Sport. I have made no secret of my fondness for the Stingher 800, not just in its first incarnation but also in its second. The original (the 800 GT) was a fine fast cruiser, hampered only by a slight lack of consistency in the fit and finish. 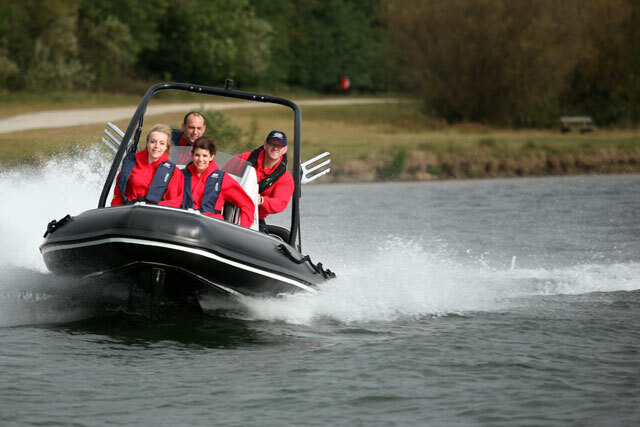 The second (the 800 GT Sport) was an even better boat, with all the dynamic virtues intact but with a rigorous upgrade in the small details that made it one of the most complete cruising RIB packages around. 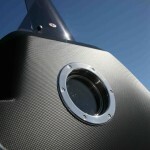 Watch Alex's Stingher Black Carbon Edition: First Look Video here. 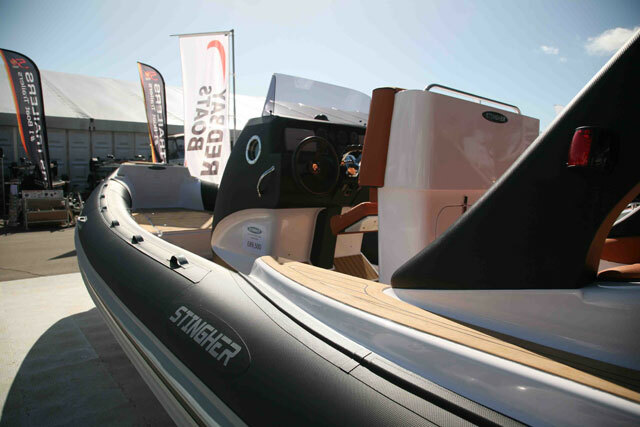 The new Black Carbon Edition is the third incarnation of the Stingher 800. However, history is littered with mediocre boats that succeeded fantastically and outstanding boats that never caught on. 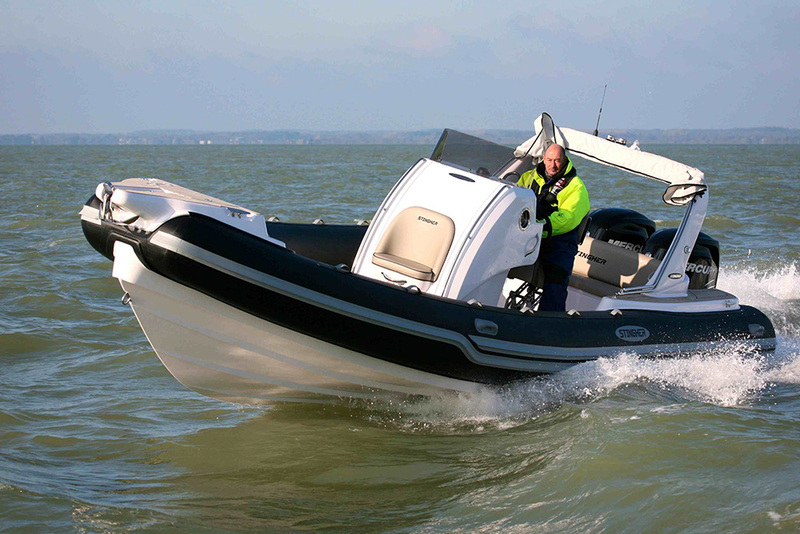 It’s something I find quite irksome at times but the reality underpinning whether a boat sells often has more to do with its capacity to appeal to the public than its capacity to perform on the water – so while last year’s upgraded 800 GT Sport looked to me like a boat at the very top of its game, it came as no great surprise when Ed Pedley, the boss at MRL, decided to tweak it with a third version. 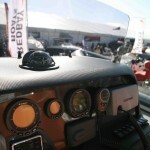 The result of that tweaking is the boat you see here - the Stingher 800 GT Sport Black Carbon Edition. The excellent layout and ergonomics remain unchanged. Happily, on initial inspection, the fundamentals of the ‘standard’ 800 GT Sport seem well intact. In addition to the sturdy underpinnings of that safe, beamy cruising hull, you get the same leisure-friendly layout, with aft bench framed securely beneath the stanchions of the big radar arch, plus a pair of electrically adjustable leaning posts, a central helm console and a long, open bow deck that lends itself to sunbathing. Other welcome similarities include the sundeck cushions with tailor-made carry bags, the Fusion radio, the Flexiteek decking, the solar panel, the vast array of LED lights, the quality stainless trim, the detachable ski pole and the electric cool box. Here at the show, the non-Carbon 800GT sits right next door to this new special edition craft, allowing me to compare the two craft directly and I’m pleased to say that the ‘Black Carbon’ appears to be pretty much the same boat I enjoyed so much back in 2012. So what exactly has changed? When you inspect the details you discover that there are some subtle alterations behind the scenes, such as stainless steel gas struts beneath the storage lids and a new switchboard beneath the stern seat. 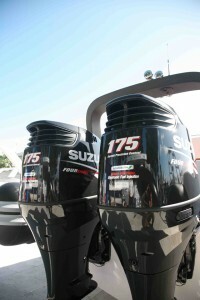 The twin rig Suzuki 175s add weight and cost but look well suited to purpose. The new engines themselves look very promising. Known as the DF175TGs, they come with ‘Suzuki Precision Control’ electronic throttle and shift instead of the old-style mechanical controls, plus a claimed 16 per cent improvement in fuel efficiency thanks to Suzuki’s well-established ‘Lean Burn’ technology. 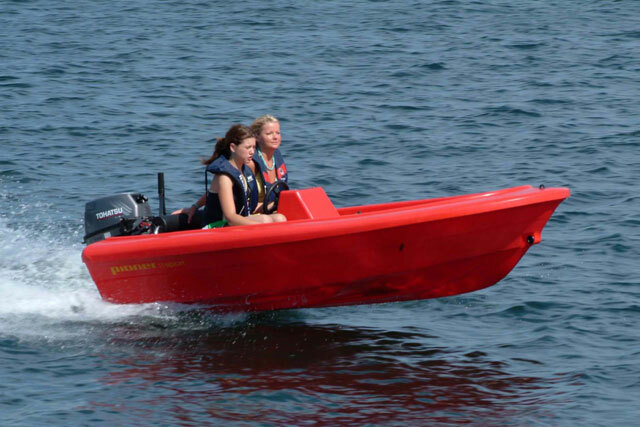 That all sounds great but what is less ideal of course is the additional cost of around £11,000, the sacrificing of the big double swim platforms and the fact that they add nearly 150kg to the transom. Now on a great many boats, shifting the centre of gravity aft like this might cause significant alterations in the handling characteristics, potentially making the nose rather light and the handling a touch skittish. However, one of the most remarkable traits of this boat in the past has been its composure at pace and its responsiveness to helm input. Whenever things begin to look a bit lively, simple tweaks on the trim or the throttle enable you to dip some extra stabilising deadwood, easing the boat back down, wiping off a little pace and generating the reassurance of extra grip and control. In fact, its ease of use and running composure has always been its most prominent dynamic asset, so I’m willing to bet that the new 800 will cope quite comfortably with the new engines. The black Carbon Edition represents a very affordable upgrade on the standard 800 GT Sport. If you’re going to release a tweaked version of any boat, you need it to build upon the basis of a genuinely good one and the new Black Carbon Edition does just that. MRL has basically taken the excellent 800 GT Sport and equipped it with twin engines, Sea Star power steering, a souped-up console, stainless steel gas struts, a different switchboard, an electric windlass and fresh upholstery colours. The fact that it is able to do all of this for the show price of £89,500 (£13,000 more than the ‘standard’ single-engined Sport model) is immensely impressive. 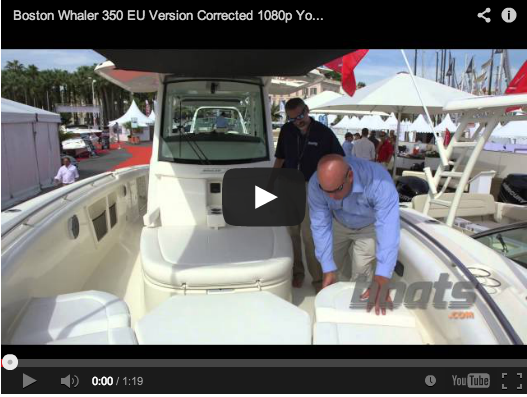 And if you don’t feel you need those twin engines, you can rein in the costs even further. With the single Verado 300, the Black Carbon model can be yours for £78,500. 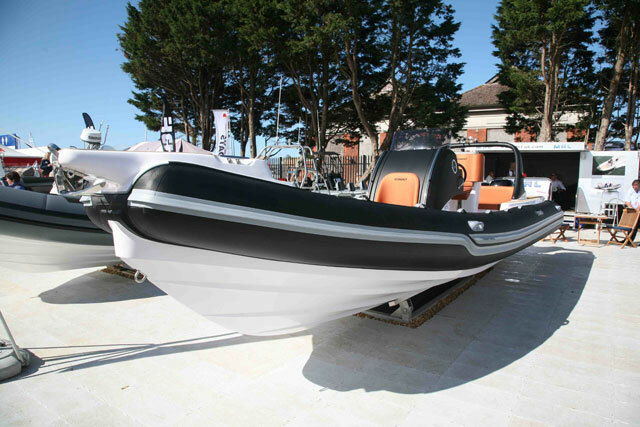 That’s just £2,000 more than the ‘standard’ model and given how cost-effective that boat was, this new option looks like truly outstanding value for money. 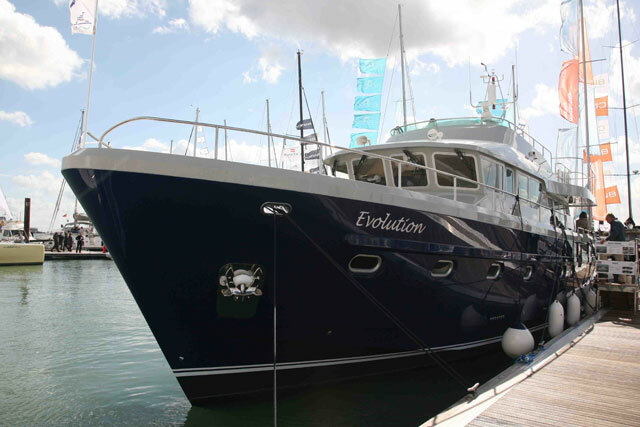 Hardy 62: tough-guy trawler or luxury expedition cruiser?